Two years ago, I went to the Goethe Elementary gymnasium in Chicago ready to take notes and observe my first Hoop Shoot from the sidelines. I should have known better. 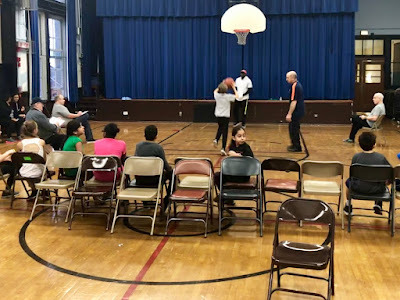 Without skipping a dribble, my Lodge Secretary Paul Ronzani called me off the bench and told me that I was going to be a rebounder that morning. I was excited to be involved and felt like a part of the team. I had a blast that first year chasing down balls. It was only my first contest, and I already had the best seat in the house, right by the basket! Except it wasn’t really a seat, and by the end of the day I felt like I needed to ice my legs! Last year when I arrived at my Lodge contest, I was ready to rebound. I made sure I got plenty of sleep the night before, and stretched my legs, after helping set up the gym. But before I made it to the basket, Paul called me over. This year, they needed a scorer. It felt like deja-vu. While I enjoyed rebounding the previous year, I was happy to get off my feet and keep score. 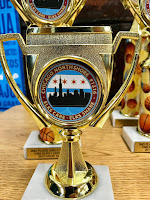 It felt like a totally different Hoop Shoot. Rebounding is a physical presence. It is a repetitive motion. Keeping score requires so much more mental presence and focus. It was just as exhausting, but in a different way. By the end of the day my eyes were sore, and my hand was cramping, but it was worth it! This year, I didn’t know what to expect. I showed up at Goethe with sharpened pencils and comfortable shoes—ready to work! There was only one position left on the court that I had yet to cover, and it was the position I feared the most. Line judge. Rebounders work as a team. Scorers work separately, but still as a team, and they get to sit. The line judge has no safety net. They are the leaders on the court, and in the spotlight. They make the call to determine if the shot counts, and in the Hoop Shoot, one shot often determines the winner. I have never envied the line judges at any level of competition. Lo and behold, after we set up the gym, Paul called me over. I’ll give you one guess as to what I was going to be doing that day, line judge. I have had the opportunity to watch some of the program’s best line judges over the years, but actually stepping up to the line was a different story. I was so nervous for the 8 to 9-year-old contest, but I knew it needed to be done. Despite the build-up, and years of fearing this responsibility, the scorers, rebounders, and I were able to form a rhythm almost immediately. It did not take long for me to realize that the line judge isn’t out there alone—they do have a safety net. The entire team of volunteers is there to support each other and work together. Once I understood that, I was able to really enjoy myself the rest of the day. Yes, I still went home tired, but that was because I had spent the morning doing something good. I have enjoyed volunteering at every position during my first three Lodge contests. 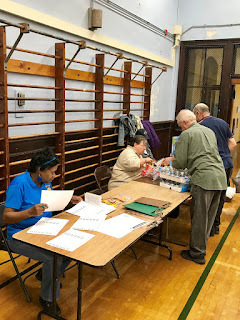 Each year I have learned something new, and gained a further appreciation for the Hoop Shoot volunteers. 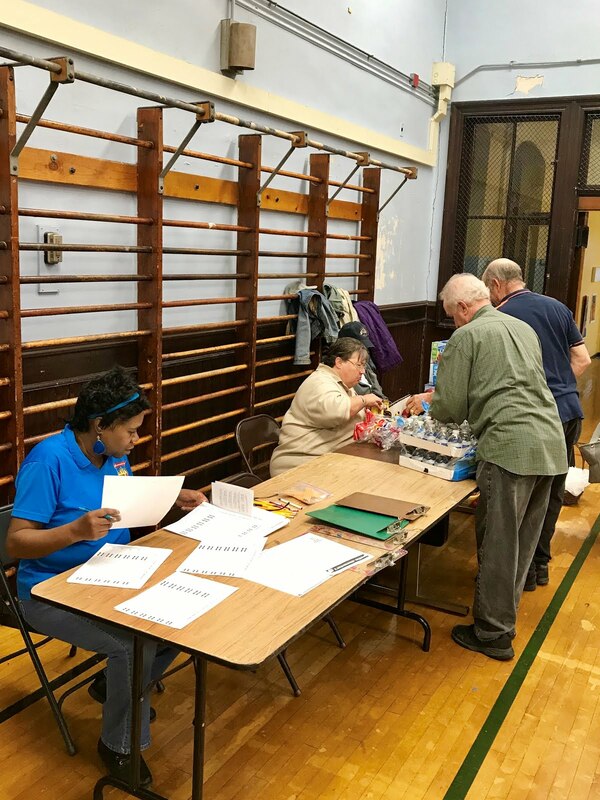 All across the country, volunteers work tirelessly, both physically and mentally, in order to give an opportunity to the youth in their community. It takes a lot of work, but their efforts benefit tens of thousands of kids every year. At the end of the day, it doesn’t matter how tired or sore they are. What matters is the difference they made. 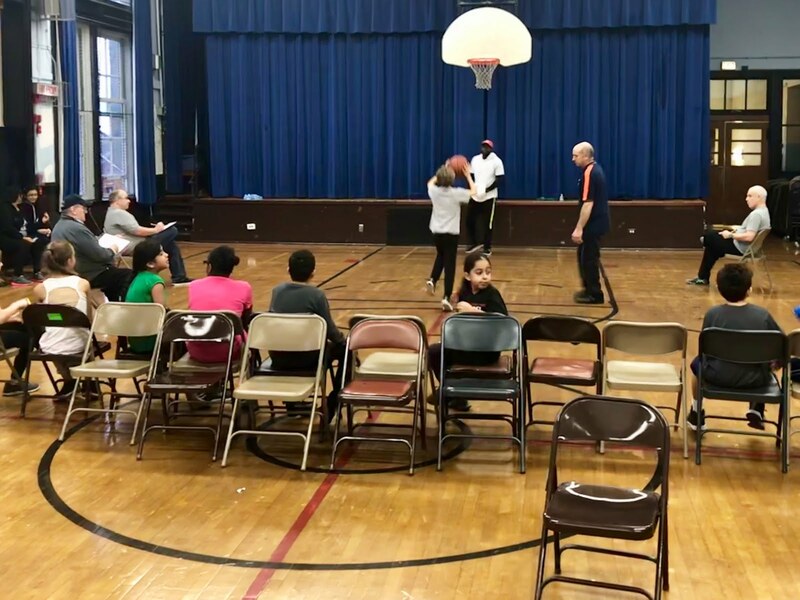 Going through the chairs on the court has really opened my eyes to the sacrifices that Hoop Shoot volunteers make, and I will never take their hard work lightly. I plan on continuing to volunteer at my Lodge, so that I can continue to benefit and grow from my experiences. However, when it comes to the big leagues, the National Finals, I think I’ll let the Regional Directors handle the court.